I don’t expect that you will ever read this post. 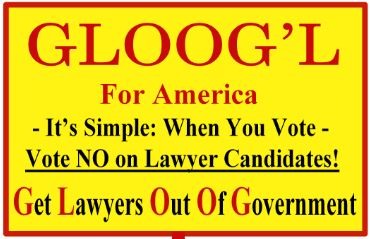 If you do, I hope you will take a glance at the GLOOG site to just get an idea of it’s true spirit. I’m not a TV pundit. Not a Political adviser. Not a Professor, a judge, a lawyer, a politician, not any of the people that everyday we have to listen to on the state of affairs in America. Joe the Plumber was the closest we ‘unknowns’ ever got to publicly being heard and maybe even listened to. So for the sake of this letter just think of me as Bill the Baker. When it comes to heroes here at GLOOG and at Houraney.com, you sir are at the very top of our list. If America had more Larry Klaymans we would not be in the mess we’re in and this site would be irrelevant. So Thank You for all the great work you do and the personal sacrifices you have made to maybe bring some justice to an unjust system. I Recently read your article at WND titled ‘After The Tea Party‘. As usual you have ‘separated the trees to expose the forest’. You say that “The revolution has begun, but don’t think that simply restoring Republican control of Congress in this fall’s election will change things much.” I agree 100% but express it as ‘rearranging the chairs on the Titanic’. It is understandable how the general population cannot see this but it is amazing how few ‘political experts’ understand this. Were they not around in 1994 when a similar situation existed and the Republicans took over control? Look where we’re at now! More than anyone you understand that “There is no real remedy to the nation’s current state of affairs through the present government.” Be it the “present government” or the present ‘judicial system’, they both can only be as good as the people that are in them and as you are well aware, therein lies the problem. So we have our “present government”; the legislature, the executive and the judiciary. The Divine inspiration of the Founders cannot be argued with. So what then went wrong? Like any problem that arises in multiple embodiments, the common denominator must be identified if there is any chance of solving this problem. Fortunately the common denominator here is easily identified. 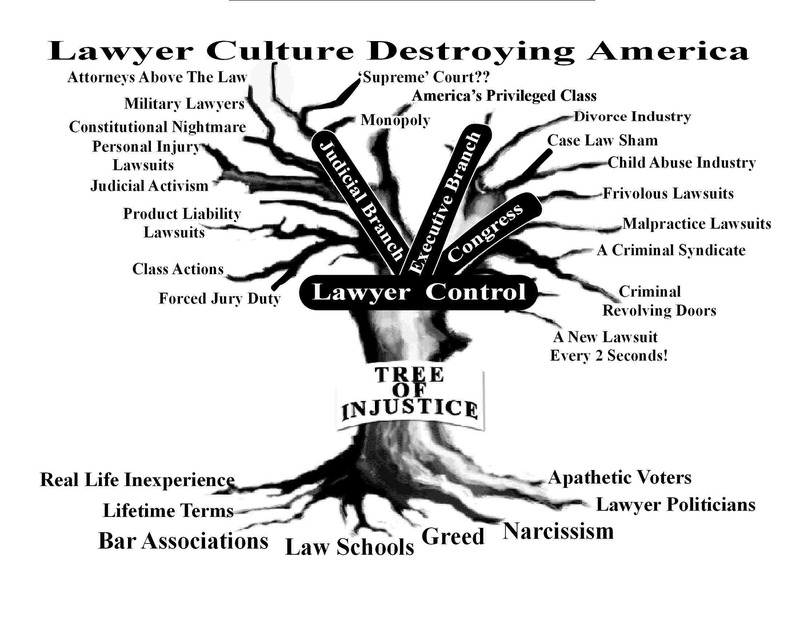 All of these branches of our government, both State and Federal are almost totally comprised of one privileged group of people; lawyers. Unfortunately, these lawyers are more representative of the ACLU than the ADF or Freedom Watch. To expand on this with you would be ‘preaching to the choir’ so let me get to the main point of this letter. In your article you ask the question; “But what means will our non-violent revolution take?” You then go on to espouse the ‘Citizen’s Grand Jury’ as the answer. Please allow me to disagree. (OK I know. Who the hell am I, Bill the Baker, to argue legal justifications with Larry ‘The Lion Slayer’ Klayman? I can only base my argument on my unfortunate legal experiences and common sense.) Although your Citizen’s Grand Jury is an astute and bona fide legal challenge, the odds of success are small. The reasoning is best illustrated by examining the recent Health Care Bill. Remember when everyone declared the bill “dead on arrival” because of Scott Brown being the 41st vote in the Senate? Low and behold, a few months later it was law. Why? (If you have a few minutes, please check out : It’s Their Game and They Make The Rules .) Simply put, they have total control over every aspect of those departments or branches of the government that you will need to win or even if you did win, to implement your resolve. As they did with the HCB, they will rally the troops, twist the meaning of the laws that you depend on, and this noble attempt, as would any effort to seize their power, will fail. 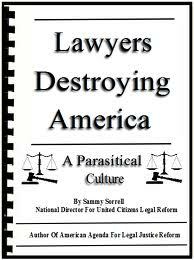 As long as lawyers are in control, they will be able to maintain this control. Only if they no longer control all branches of government can ‘We The People’ once again take control of our country and our destiny. 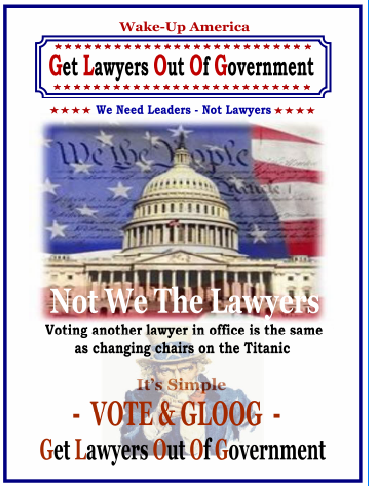 The second and most important, we must revive the ‘missing’ original 13th Amendment in a new 28th Amendment with the same intent; to prohibit lawyers from serving in government. Most Americans now have no faith in Congress and the self-serving laws that they pass. This is a momentous time and it just may be the right time, or maybe the only time before it’s too late, to convene a Constitutional Convention to set the country back on it’s God given path. ‘ The Good Guys’ cannot win this game unless they take the field and go on offense. We can’t afford to gamble it all on a ‘Hail Mary’ strategy or a temporary lead like voting in another party. A Constitutional Convention is a timely, effective and lasting way to reverse the continuing success of the opponent. Thank God for the brilliance of The Founding Fathers to give us this game plan. A few days later, on the pages of the Wall Street Journal a strong case was made for a “repeal amendment” that would give state legislatures the power to veto federal laws, something worth proposing. Though the oped by a professor and the Speaker of the Virginia House of Delegates did not say so, obviously Congress would never propose such an amendment. That means using an Article V convention whereby state delegates could propose new amendments just as Congress has done, which the Speaker has acknowledged elsewhere. So the issue of using this convention option that Congress has refused to convene despite hundreds of state applications and that establishment powers on the political left and right have long opposed merits serious examination. Start with this: Americans overwhelmingly say they love and respect the Constitution and usually specific amendments, though often different ones on the political left and right. Three frameworks help understanding why most Americans oppose using the Article V convention option. Two explain why convention proponents have not been able to impact most opponents that fit these two frameworks. I offer a third framework or plan of attack which I believe will work. First, consider the craziness framework. Many Americans have been taught to fear using the convention option, even though it has never been used. They are irrational. This is like being afraid to eat the fruit of the constitutional tree first planted by the Founders even though no one has ever tasted or been harmed by the fruit. Such people stubbornly think they are acting rationally; I think they are crazy and irrational. This delusional thinking based on what is imagined to might happen is not easily changed, because such people have been purposefully and successfully brainwashed. They have an emotional block. Rather than fear a runaway convention, people should fear our runaway politicians and government. As quoted in the Goldwater Institute paper Ann Stuart Diamond pointed out that the interpretation that an Article V convention would or could rewrite the whole Constitution “is often a rhetorical ploy to terrify sensible people.” The convention can only offer specific amendments. It is time for Americans to recognize their fear of a convention as having no basis in fact. And that those promoting fear themselves fear the reforms in government that a convention could propose. Second, consider the analytic framework. Many Americans use what they think are rational, substantive arguments. Convention proponents use facts based on the exact language in Article V or other historical facts to objectively contradict wrong-headed thinking. But correcting the record has not worked sufficiently, largely because opponents invent their own facts, ignore correct ones, and consume disinformation disseminated by convention opponents. They have an intellectual block. Cognitive dissonance works to prevent the pain of accepting new information incompatible with their negative views about a convention. We should not invite, respect or participate in arguments by opponents that fit these two frameworks. We should, in particular, recognize and condemn morally offensive fear mongering used intentionally by convention opponents. Convention opponents seeking protection of their ability to influence the political system and selling fear and disinformation must face their constitutional guilt. Converting convention opponents to proponents requires a paradigm change, which is very difficult. However, the current justified high level of dissatisfaction with government, politicians and both major political parties and the strong desire for reform of government justify use of a new approach. 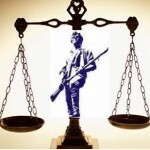 The patriotic framework better gets to the root of the problem from a rule of law perspective. Rather than condemn convention opponents as irrational or ignorant, we condemn unpatriotic constitutional hypocrites. When they openly oppose the convention option they are constitutional traitors. With the patriotic framework we take advantage of frequent strong public support for constitutional amendments not proposed by Congress, including these: In 1996, 74 percent of Americans favored a constitutional amendment to limit the number of terms that members of Congress and the US Senate could serve. In 2005, 76 percent favored an amendment to allow voluntary prayer in public schools, and in 1983 81 percent favored it. In both 2000 and 2004 61 percent favored amending the Constitution so that the presidential candidate receiving the most popular votes would win, replacing the Electoral College. In 1995, a balanced budget amendment passed the House but failed to meet the two-thirds requirement in the Senate by a single vote; this year there is a strong national movement to get it and a number of other amendments that would surely earn broad public support. The basis for the new framework is this: Virtually everyone professes respect and admiration for the US Constitution and knows that it includes a process for amending it. But if someone opposes using the Article V convention option, then he or she is an unpatriotic constitutional hypocrite. When they openly oppose a convention they are a constitutional traitor replacing the Founders thinking with theirs, putting themselves above the law. 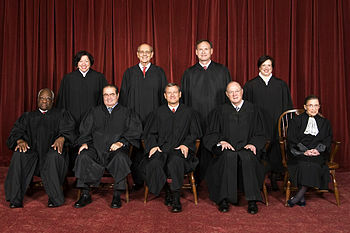 Moreover, it is impermissible to pick and choose what parts of the Constitution are supported and obeyed. Similarly, elected public officials who swear obedience to the Constitution cannot pick and choose which parts to obey. Such behavior makes a mockery of the supreme law of the land, the rule of law, and our constitutional republic. Silence by public officials on the issue is cowardly opposition to using the convention option. No one can accurately forecast exactly what a convention would propose, but we do know that continuation of the status quo will not eliminate the corruption and dysfunction sustained by the two-party plutocracy. The two major parties are rejected by 58 percent of the public for not effectively representing them, but a convention is far more attractive than forming a competitive third party. Many reforms can only be achieved through constitutional amendments that Congress will never propose; this is inarguable. Voting in elections to get reforms is passé. A hard truth to take, but one that an increasing number of Americans have begun to accept. 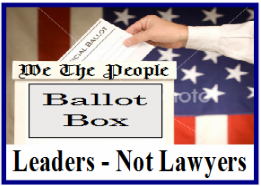 Amending the Constitution in our modern world should compete with ordinary elections. With Internet news, blogging, email, tweeting, texting and myriad other forms of instant communication, holding a convention is a new way to satisfy public thirst for true reforms, not promises. Amending the Constitution can be done relatively quickly. Of the 27 amendments to the Constitution, seven took one year or less to become the law of the land because of public engagement. The 26th amendment (giving the right to vote to 18 year-olds) took only 3 months and 8 days to be ratified in 1971! Public pressure works. It will work for and against specific amendments. Americans deserve the constitutional opportunity that Congress has deprived them of. Americans must be taught this: Just by being in the Constitution the convention option demands public support. Citizens are obliged to support it. People cannot be allowed to have it both ways and be two-faced and hypocritical. Embrace the convention option or be openly and aggressively condemned for unpatriotic hypocrisy and behavior that undermines the sanctity of the Constitution and the rule of law, both crucial for maintaining the integrity of our republic. Trust is the crucial issue. So many Americans have lost trust in their government and politicians but far less so in their Constitution. Trusting the Constitution means trusting the Founders’ wisdom in providing the Article V convention option. They anticipated the day when citizens would lose trust in the federal government, which has surely arrived. The convention option bypasses Congress, the President and the Supreme Court; it gives power to the states and citizens. Wisely, ratification by the states is required for any proposed amendments from a convention, providing a hedge against dangerous amendments. When it comes to reform and making government work for we the people, the greatest risk for the nation is not using the convention option. What political powers on the left and right fear and oppose we the people must demand. They are guilty constitutional traitors. We must be courageous patriots. There is no room for compromise with convention opponents. We must shame and embarrass them; they are lousy citizens. The time to argue about specific amendments is when the convention is in session and delegates must contend with public sentiments and later when proposed amendments are considered for ratification by states. We cannot know with certainty whether holding a convention would revitalize the nation. But refusing to use the convention option as a constitutional path to reform disrespects and undermines our constitutional republic. The sorry state of the nation demands that we do more than just talk about it. This year every candidate for the House and Senate should be compelled to publicly support using the convention option. Lack of support for it should be grounds for defeating them.